When I was growing up© the ultimate summer non-alcoholic drinks were kompot and kvas. 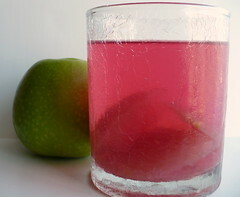 Kompot is a fruit drink made by boiling available fruits with sugar and then letting it chill. I am not sure if there is any recipe for a kompot, almost any imaginable fruit and berry can be used. Apples, peaches, plums, pears, strawberries, blueberries and especially sour cherries make the most delicious drink in about 20 minutes. Just cut the fruits (you don’t even have to peel the apples if you don’t feel like it) and add all of the ingredients to the pot of water. It still should be mostly water, it’s a drink not a meal. When it boils, add sugar to taste. Cover and cook for 10-15 minutes – no need for the fruits to disintegrate. Turn the heat off and leave covered to cool down. 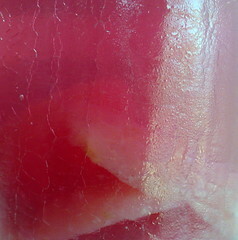 Kompot is the best when chilled and it only gets better after a day or two. In winter dried fruits can be used but dried fruits sold in this country are infused with sulfur dioxide to make them more presentable which coincidentally kills their taste. 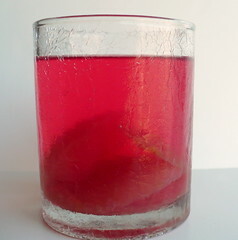 Kompot tastes so good that people used to preserve (can) it for winter when not too many ingredients were available. It’s not some colored chemical compound that kids drink nowadays. Give it a try, you won’t go back! Soon I will be making kvas and will post about it then.